How can people who are struggling with mental health and substance abuse difficulties build their motivation, curiosity, optimism, and visions for the future? 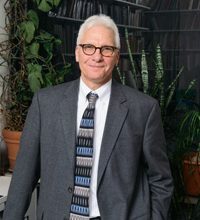 Two researchers at University of Rochester, Richard Ryan (pictured) and Edward Deci, have said meeting people’s needs for competence, autonomy and relatedness increases their motivation to change their lives positively. Their paper – “Self-Determination Theory and the Facilitation of Intrinsic Motivation, Social Development, and Well-Being” – says motivated people view their success as a result of their competence, the choices they make, and the close relationships they have. According to Ryan and Deci, motivation flourishes naturally under constructive conditions. However, external circumstances can diminish people’s motivation. Outside pressures such as deadlines, material rewards, threats, imposed goals and critical evaluations can have this effect. If people decide an outside expectation matches their own values and priorities and are in an encouraging environment, they may adopt that expectation as an internal motivator for action. For example, in school, children who have positive relationships with teachers who believe in their competence are more likely to succeed. These insights also apply within the mental health system. Clinicians who have solid relationships with their clients, view them as competent, and encourage them to make independent choices are likely to find their clients are motivated to achieve their goals.